Political demography addresses both the political determinants and the political consequences of demographic change. Over the past few decades the salience of these topics has risen to high levels in most countries and world regions. Passionate controversies about political demography have posed serious challenges to governments, governing elites, international and multilateral organizations, and longstanding provisions of international law. The efficacy and political acceptability of increasingly common government policies designed to affect the size, composition, distribution, and growth rate of national populations. Andersson, G. (2008). A review of policies and practices related to the “highest-low” fertility of Sweden. In Vienna Yearbook of Population Research (pp. 89–102). Austrian Academy of Sciences Press. http://www.austriaca.at/0xc1aa500d_0x001c9ea1. Accessed 8 Feb 2018. Barker, F. (2015). Taming the trojan horse: Quebec and the politics of demography. In Nationalism, identity and the governance of diversity (Migration, Diasporas and Citizenship Series (pp. 45–83)). London: Palgrave Macmillan. https://doi.org/10.1057/9781137339317_3. Accessed 08 Feb 2018. Botev, N. (2007). Can policies enhance fertility in Europe? And questions beyond. Vienna Yearbook of Population Research (pp. 29–34). https://doi.org/10.1553/populationyearbook2008s1. Breunig, C., Cao, X., & Luedtke, A. (2012). Global migration and political regime type: A democratic disadvantage. British Journal of Political Science, 42(4), 825–854. https://doi.org/10.1017/S0007123412000051. Accessed 08 Feb 2018. Cincotta, R. P. (2008). How democracies grow up: Countries with too many young people may not have a fighting chance at freedom. Foreign Policy. October 9, 2009. http://foreignpolicy.com/2009/10/09/how-democracies-grow-up/. Accessed 08 Feb 2018. Coleman, D. (2009b). Migration and its consequences in 21st century Europe. 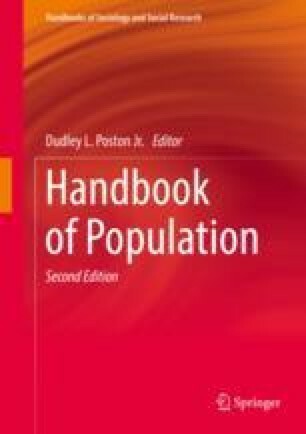 Vienna Yearbook of Population Research, 2009, 1–18. http://epub.oeaw.ac.at/0xc1aa500d_0x0022ebde. Accessed 08 Feb 2018. Eberstadt, N. (2011). The dying bear: Russia’s demographic disaster. Foreign Affairs, 90, 95–100. https://www.foreignaffairs.com/articles/russia-fsu/2011-11-01/dying-bear. Accessed 08 Feb 2018. Faour, M. A. (2007). Religion, demography, and politics in Lebanon. Middle Eastern Studies, 43(6), 909–921. https://doi.org/10.1080/00263200701568279. Accessed 08 Feb 2018. Gauthier, A. H., & Philipov, D. (2008). Can policies enhance fertility in Europe? Vienna Yearbook of Population Research, 2008, 1–16. http://www.austriaca.at/6536-1inhalt?frames=yess. Accessed 08 Feb 2018. Gesano, G., & Strozza, S. (2011). Foreign migrations and population aging in Italy. Genus, 67(3). https://doi.org/10.4402/genus-420. Goldstone, J. A., Shulgin, S., Arkhangelskiy, V., Korotaev, A., Zinkina, Y., Novikov, K., & Pustovalov, D. (2015). Political demography of Russia. Politics and state government. Moscow: Russian Presidential Academy of National Economy and Public Administration, Published Papers, No. mn44. ftp://w82.ranepa.ru/rnp/ppaper/mn44.pdf. Accessed 08 Feb 2018. Hochstadt, S. (2016). Demography and demographers in modern Germany: Social science and ideology across political regimes. Social Science History, 40(4), 657–682. https://doi.org/10.1017/ssh.2016.26. Accessed 08 Feb 2018. Hudson, V. M., & deb Boer, A. (2008). China’s security, China’s demographics: Aging, masculinization, and fertility policy. The Brown Journal of World Affairs, XIV(2). Spring-Summer. https://www.brown.edu/initiatives/journal-world-affairs/142/chinas-security-chinas-demographics-aging-masculinization-and-fertility-policy. Accessed 08 Feb 2018. İçduygu, A. (2010). The politics of demography and international migration: Implications for the EU–Turkey relationship. Journal of Balkan and Near Eastern Studies, 12 (1), 59–71. https://doi.org/10.1080/19448950903507404. Accessed 08 Feb 2018. Lee, R. D., & Mason, A. (2006). What is the demographic dividend? Finance and Development, 43(3), 1–9. http://www.imf.org/external/pubs/ft/fandd/2006/09/basics.htm. Accessed 08 Feb 2018. Lesthaeghe, R. (2014). The second demographic transition: A concise overview of its development. Proceedings of the National Academy of Sciences, 111(51), 18112–18115. https://doi.org/10.1073/pnas.1420441111. Accessed 08 Feb 2018. Menon, J., & Melendez, A. C. (2009). Ageing in Asia: Trends, impacts and responses. Asian Development Bank. http://hdl.handle.net/11540/1794. Accessed 08 Feb 2018. Noymer, A., & Hatori, H. C. (2016). Political demography: How population changes are reshaping international security and national politics. Contemporary Sociology: A Journal of Reviews, 45(2), 177–179. https://doi.org/10.1177/0094306116629410w. Accessed 08 Feb 2018. Paterno, A. (2011). Is immigration the solution to population aging? Genus, 67(3), 65–82. http://scistat.cilea.it/index.php/genus/article/viewFile/418/227. Accessed 08 Feb 2018. Rivkin-Fish, M. (2010). Pronatalism, gender politics, and the renewal of family support in Russia: Toward a feminist anthropology of “maternity capital.” Slavic Review, 69(3), 701–724. https://doi.org/10.1017/S0037677900012201. Accessed 08 Feb 2018. Robbins, P., & Smith, S. H. (2017). Baby bust: Towards political demography. Progress in Human Geography, 41(2), 199–219. https://doi.org/10.1177/0309132516633321. Accessed 08 Feb 2018. Soffer, A. (1986). Lebanon – Where demography is the core of politics and life. Middle Eastern Studies, 22(2), 197–205. https://doi.org/10.1080/00263208608700659. Accessed 08 Feb 2018. Teitelbaum, M. S. (2014). Political demography: Powerful forces between disciplinary stools. International Area Studies Review, 17(2), 99–119. https://doi.org/10.1177/2233865914534428. Accessed 08 Feb 2018. Teitelbaum, M. S. (2015). The truth about the migrant crisis. Foreign Affairs, September. https://www.foreignaffairs.com/print/1115410. Accessed 08 Feb 2018. Teitelbaum, M. S. (2017). Europe’s migration dilemmas: Unavoidable and unresolved. Foreign Affairs, May. https://www.foreignaffairs.com/articles/europe/2017-05-11/europe-s-migration-dilemmas. Accessed 08 Feb 2018. Toft, M. D. (2012). Demography and national security: The politics of population shifts in contemporary Israel. International Area Studies Review, 15(1), 21–42. https://doi.org/10.1177/2233865912438161. Accessed 08 Feb 2018. United Nations. (2001). Replacement migration: Is it a solution to declining and ageing populations? New York: United Nations. http://www.un.org/esa/population/publications/migration/migration.htm. Accessed 08 Feb 2018.
van de Kaa, D. J. (2006). Temporarily new: On low fertility and the prospect of pro-natal policies. Vienna Yearbook of Population Research. https://doi.org/10.1553/populationyearbook2006s193. Accessed 08 Feb 2018. Ware, H. (2005). Demography, migration and conflict in the Pacific. Journal of Peace Research, 42(4), 435–454. https://doi.org/10.1177/0022343305054090. Accessed 08 Feb 2018.